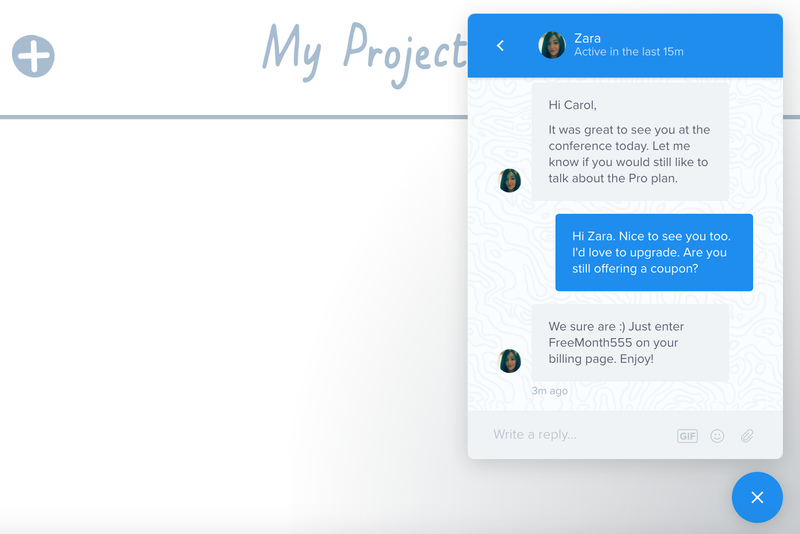 Send your users chats, notes and posts using the Messages product. 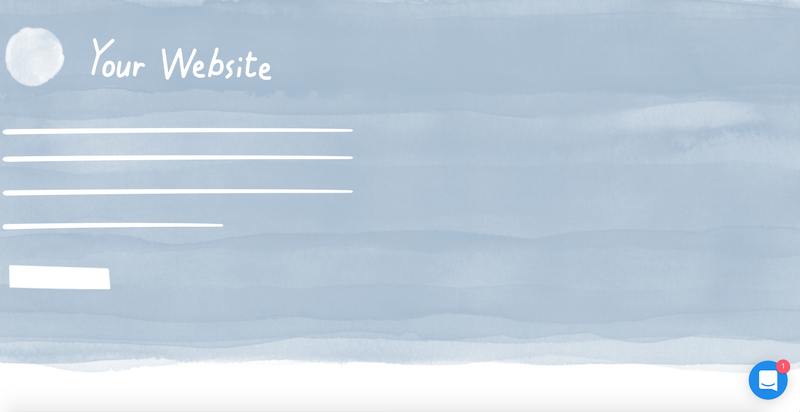 With the Messages product, you can send messages to people on your site or app. In-app messages are great for encouraging users to take action while they’re using your product, or visitors while they're on your site. They’re up to ten times better than email at engaging your customers. You’ll have full control over how each message gets delivered, increasing its chance of getting seen and read. 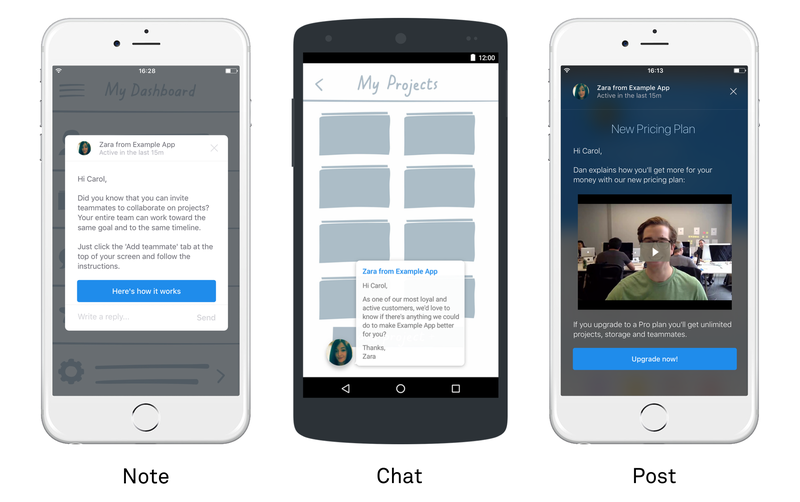 Here’s how in-app messages work across web and mobile. Note: It’s ‘Last seen less than 30 days ago’ as recently active customers are far more likely to see your message. We recommend only targeting users who were recently active in your app. The best place to tell your customers about your calendar feature is on the calendar page itself. To target a specific URL, To target a specific URL, select ‘Web’ as where people should see the message after you’ve chosen ‘In-app’ as your channel. 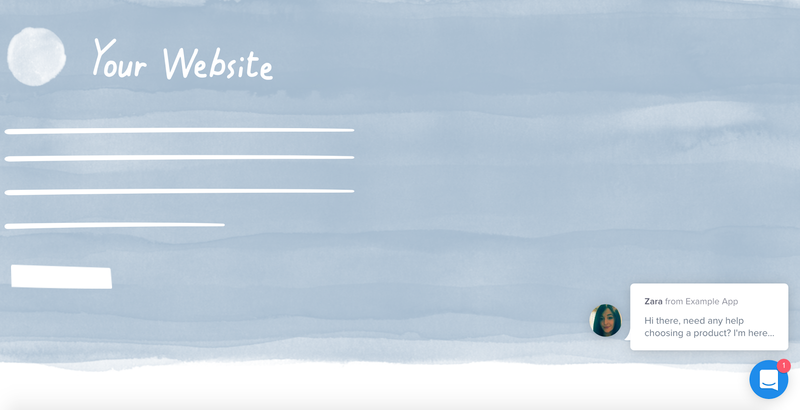 After composing your message, set your page targeting as ‘Only on certain pages’ and enter the URL you’d like to target. Posts take over the full screen and allow you to tell a longer story. 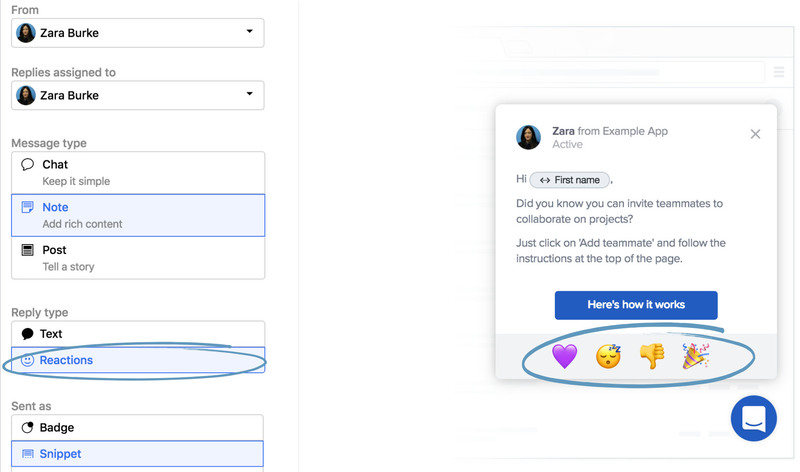 They're perfect for promoting an important new feature, walking your users through a guide, sharing a video or announcing your new price plan, for example. You'll have a full suite of formatting options like large and small headings, buttons, videos, and images. Notes offer all of the same formatting options as posts such as videos, images and buttons. The difference is that they they’re smaller and less disruptive for your customers, appearing in the bottom right-hand corner of their screen. 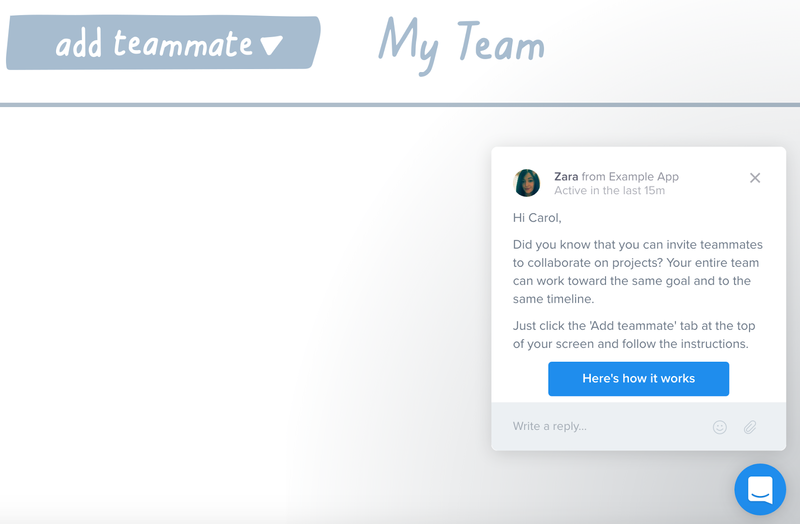 They're great for sharing quick tips and for encouraging users to take specific actions in your product. If you'd like to start a conversation with your customers or visitors, you can send them a chat message. They're great for starting one-on-one conversations. Chat notifications persist across pages and sessions until your user clicks them to open the conversation, even if they close your app. When your customer opens the chat on web they display in a side panel. You can use them for things like checking in on your users a week after they sign up. Because they're more informal, they have more basic formatting options. But you can still include images, videos and links. If you have Messages, you can define exactly how each message arrives, regardless of message type. Less interruption gives customers the freedom to read messages when it’s best for them. This in turn will make your messages more likely to be read. A snippet shows the first few words of the message and entices your customer to read more. A badge simply displays the unread message count. Or you can choose to have the message open in full when it arrives. Reactions are available with our Messages Pro plan. They let you gauge how your customers feel about your messages when you don't have the resources to manage a ton of text replies. Choose ‘Reactions’ as your response type when you want your customers to take action, rather than reply. You can choose any combination of fun emojis to appear as the reactions in your messages. With in-app messages you'll get a higher response rate from your user base, because it's so easy for them to reply, and it's effortless for you to tally the results as they come in. Keep an eye on your message to see how many people have opened it, clicked a link in that message, responded to it and more. Installing Intercom for iOS and Android is easy. 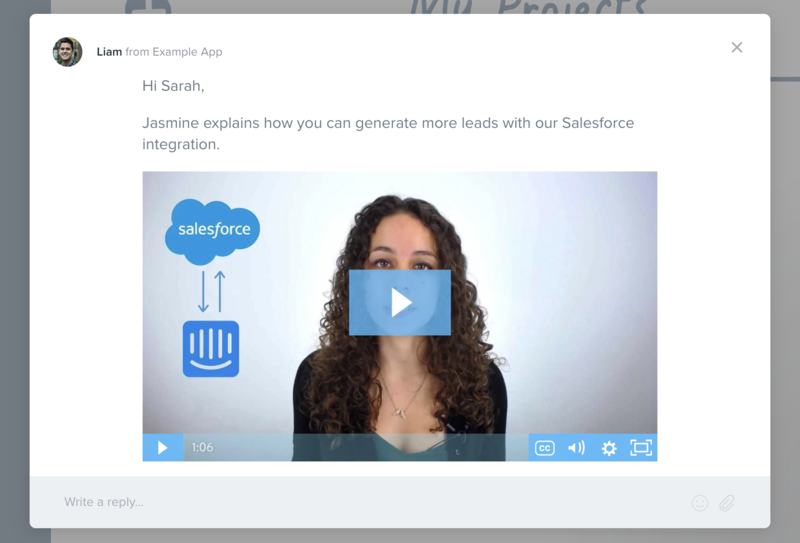 Learn how in-app auto messages send to your customers. Check out our best practices for setting up in-app message types for maximum impact.